With the development of the aging society and the increased importance of emergency risk management in recent years, a large number of medical care challenges - advancing medical treatments, care & support, pharmacological treatments, greater health awareness, emergency treatments, telemedical treatment and care, the introduction of electronic charts, and rising costs - are emerging as social issues throughout the whole world. Hospitals and other medical institutions must develop and maintain superior management to achieve systems that can provide better medical care, welfare and health while enabling "support innovation." Key medical care, welfare and health industries play a crucial role in this, but also of importance are management innovation models that enable "collaborative innovation" by closely linking diverse fields such as ICT, energy, electric equipment, machinery and transport. 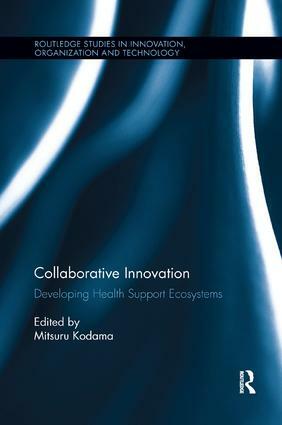 Looking across different industries, Collaborative Innovation offers new knowledge and insights on the extraordinary value and increasing necessity of collaboration across different organizations in improving the health and lives of people. It breaks new ground with its research theme of building "health support ecosystems," focusing on protecting people through collaborative innovation. This book opens up new, wide-ranging interdisciplinary academic research domains combining the humanities with science across various areas including general business administration, economics, information technology, medical informatics and drug information science.